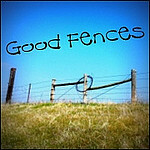 Today my good fences were found with a few friends included. and watched very still as I took his picture! This pretty horse just keeps right on having lunch! Love the berries trailing on the top rail. Look at his eye, he knows I'm there and well aware. I'm best to keep my distance. well, they seem to be walking in circles. All these friends, posing by good fences of wood posts and barbed wire.